Happy Monday everyone! Hope your week is off to a great start. 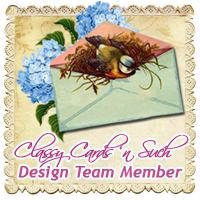 Today I have a card to share made with some fun products from the Classy Cards N Such Online Store. 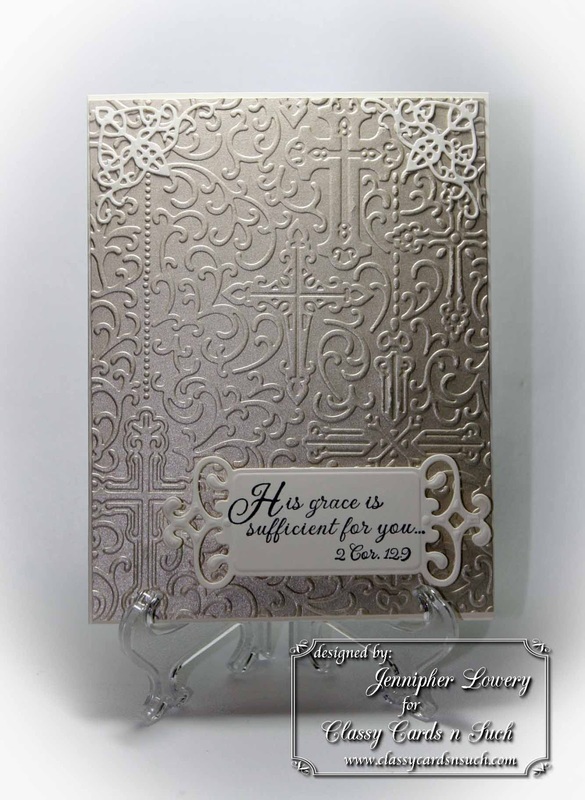 New in the Classy Cards 'n Such store is the Reverence M-Bossabilities embossing folder by Spellbinders. I love the designs on both sides; one being crosses and the other being lilies and both are appropriate for Faith-based cards or cards of encouragement and comfort. I created a simple yet elegant card using the folder so that you could see just how beautiful the details are. I started with a pre-made card base that measured 5.5 x 6. 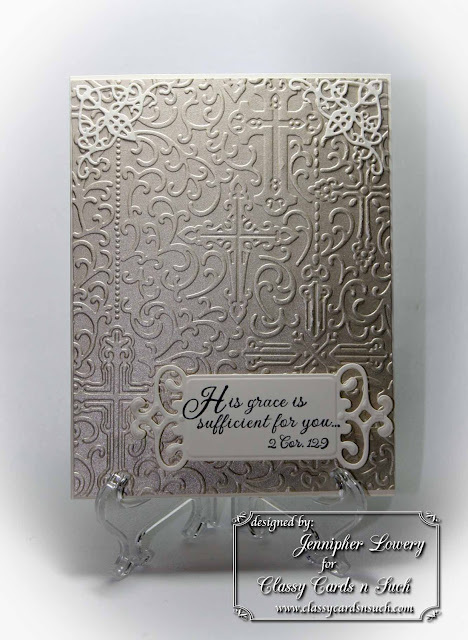 Using a piece of Champagne - Reich Shine cardstock that measured 5.25 x 5.75, I embossed it using the crosses and filigrees side of the embossing folder. With the beautiful shimmer from the Champagne Reich Shine and the incredible detail from the Reverence embossing folder, I knew that I couldn't add much more to this card or it would lose it's elegance. With that being said, I used Spellbinders Fancy Tags to stamp my sentiment on and popped it up with foam pads. I needed just a little something else to complete the card so, I decided to decorate the corners with Cheery Lynn Designs Lace Deco Corner E. In between my decorative corners and sentiment you can see all the fantastic detail of the Reverence embossing folder. It measures 5 x 7 so it is perfect for making larger cards as I tend to do. Definitely a must have! Beautiful card. 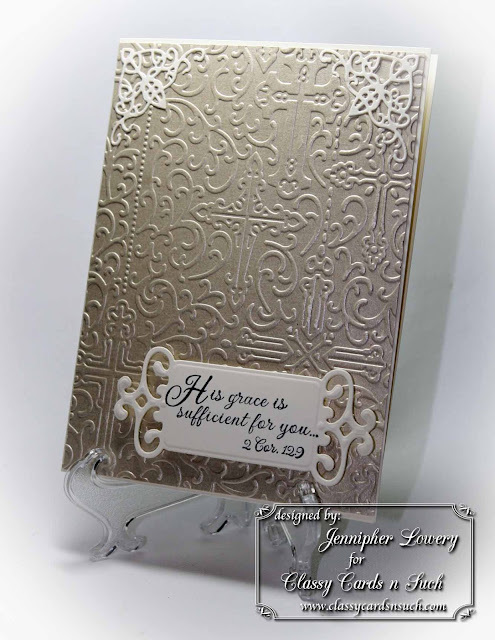 I just love that silver embossed panel and scripture. It is so wonderful to find another sister in the Lord who enjoys crafting too. 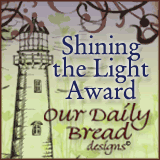 I am going to follow your blog, I have everything switched over to Blog Lovin on mine, since Google Reader is closing soon. Hope you'll follow me too. I have the buttons right under my pic and profile. Hugs. my goodness jennipher this is such a beautifully elegant card!! Oh Jennipher, this is gorgeous!!! 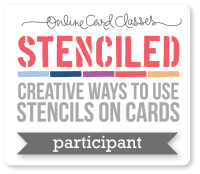 I love embossing! So elegant! This is absolutely gorgeous, Jennipher! The embossing is beautiful! WOW this is just gorgeous, what a great simple cards that has the WOW factor. 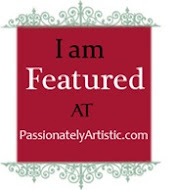 Stop over to my blog if you would, we are having a hop and you can enter to win a gift certificate to Gina's Designs. What a stunning card! I just love it. This is so elegant; I love it. I just adore the embossing you did on this card. So prety. This is just beautiful Jennipher! Love that background....hope you're doing ok & your Mom too!